This is a classic butterfly style double edge razor. Turn the knob at the bottom of the handle and the head opens like butterfly wings. Place blade in the open head, turn the knob in the opposite direction to close the head and secure the blade. The handle has a non-slip grip. The finish is a high polished chrome. 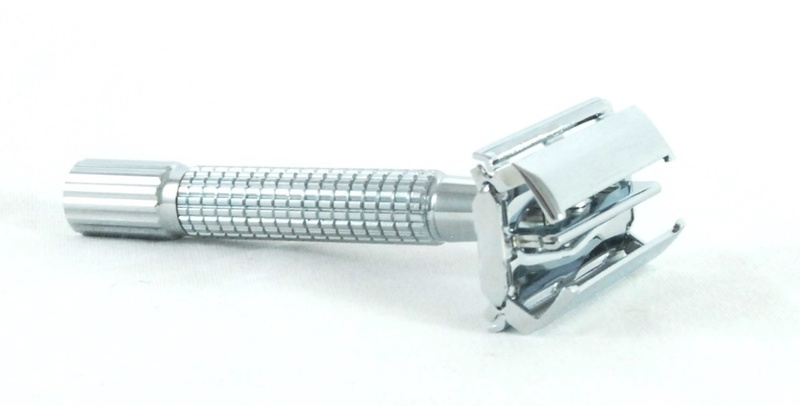 This is a great entry level razor. Boxed.